The arrival of American Models’ new Pacific was greeted with great enthusiasm. For most people, just the production of the first new S scale steam locomotive in a generation was enough to get excited about. However, for those of us who have been superdetailing American Models’ Geep and FP-7 diesels over the years saw even greater kitbashing opportunities with the new Pacific model. 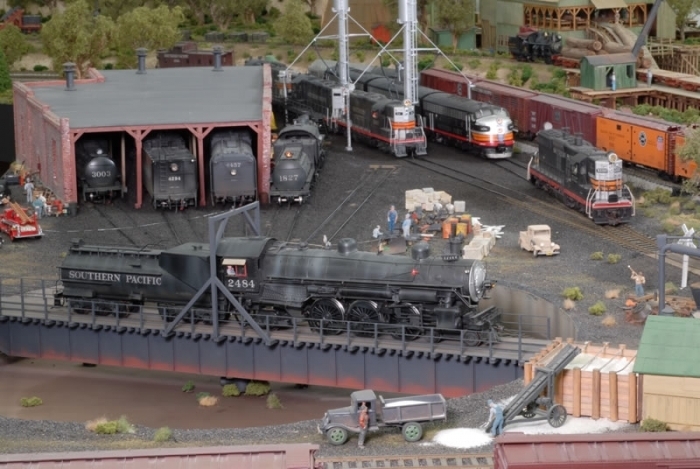 I knew I had to have one of these fine running locomotives, but as a modeler of western railroading, I was not certain how best to modify the Pacific for my favorite prototype. 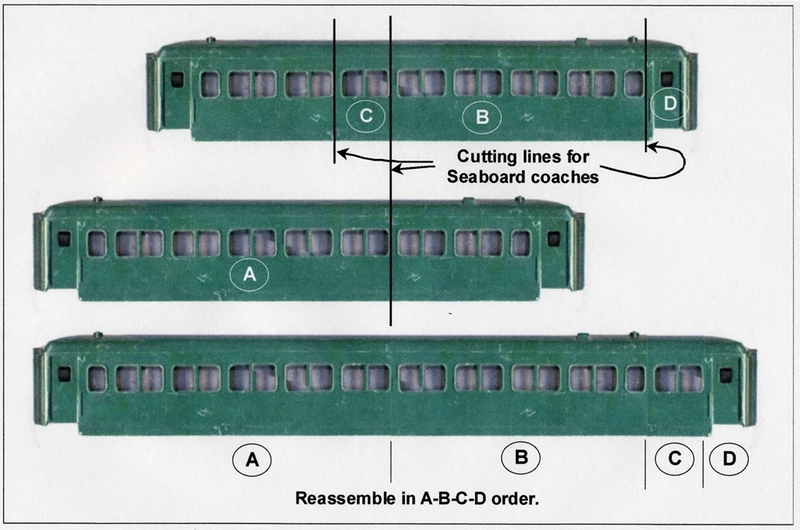 The answer came with the July 1997 issue of Mainline Modeler, which had an article on the Southern Pacific P-10 Class Pacifics complete with 3/16″ scale plans. 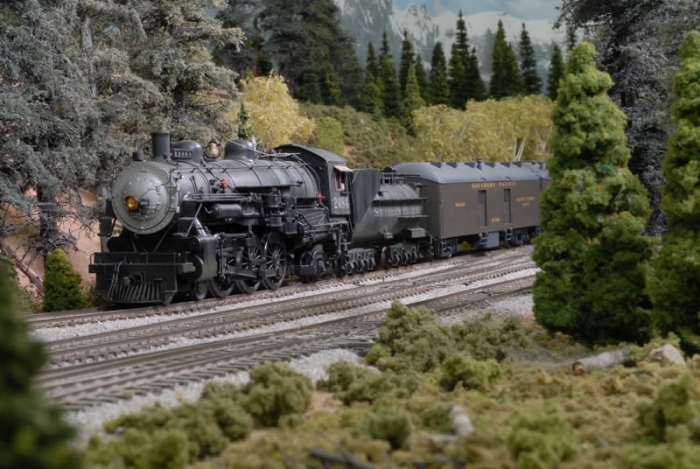 The American Models 4-6-2 is modeled after the USRA heavy Pacific. 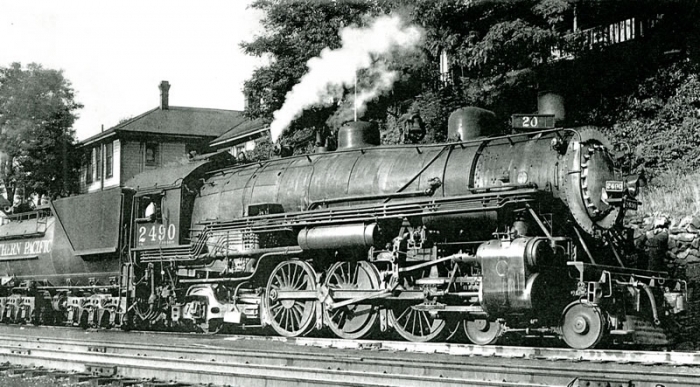 Their B&O version is intended to approximate the P-7 “President” series, numbers 5300-5319, delivered in 1927 by Baldwin. 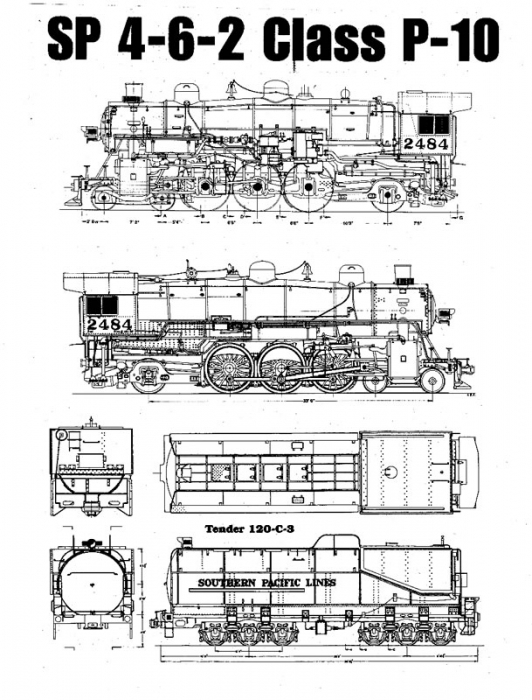 Jeff Madden did a fine job of discussing the history of these B&O engines in the December 1997 NASG Dispatch. 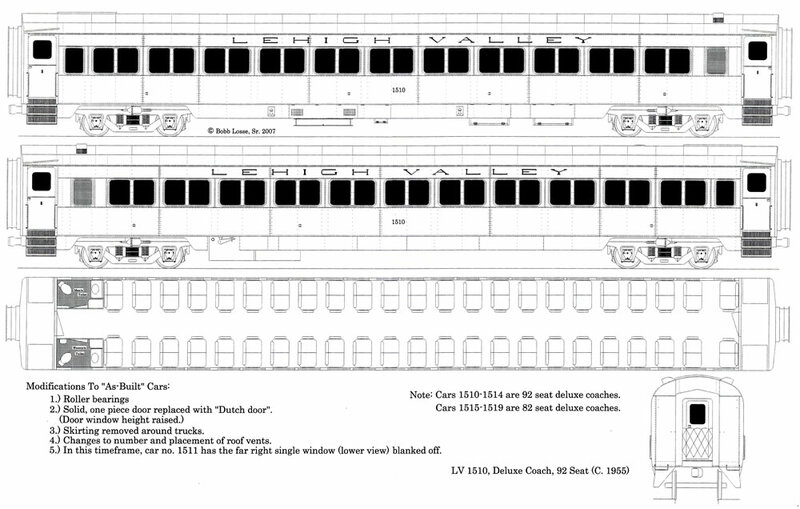 The article includes plans for both the “as-built” and “as-modified in 1930” versions. 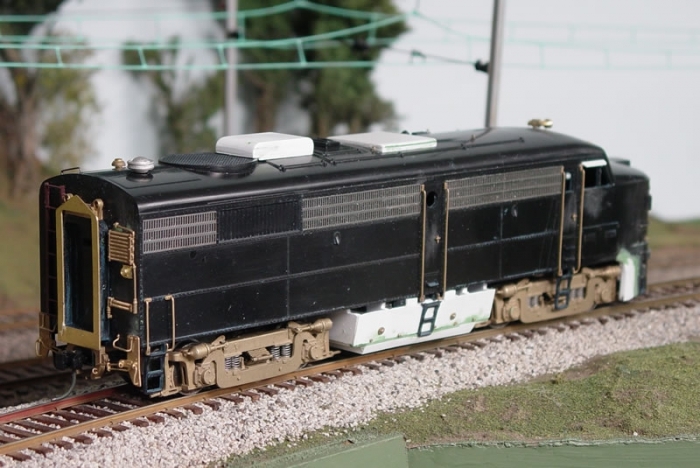 Jeff’s article should be sufficient to motivate any B&O modeler to try modifying the engine to any of several specific prototype locomotives. Most of these projects require only minor changes involving adding castings and minor detail revisions to produce a specific engine. 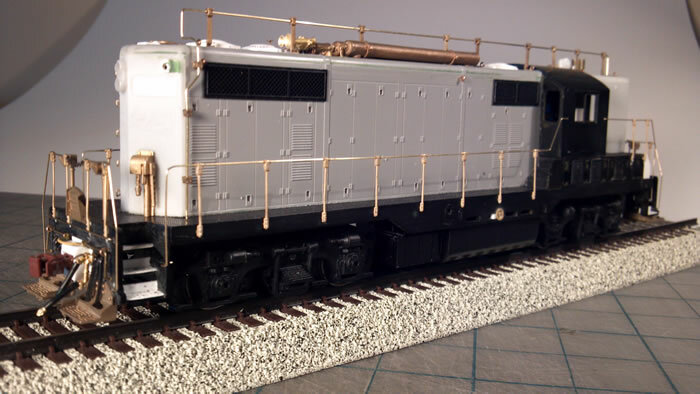 This project covers the process of making major modifications to the American Models Pacific to create a reasonable model of the Southern Pacific P-10. I selected the Southern Railway version of the AM 4-6-2 as a starting point because it came with the six-wheel tender trucks needed for the SP conversion. I must confess it took considerable courage to begin the disassembly of the good-looking stock model. Once begun, however, the process was far easer than I imagined, and the results were worth the effort. 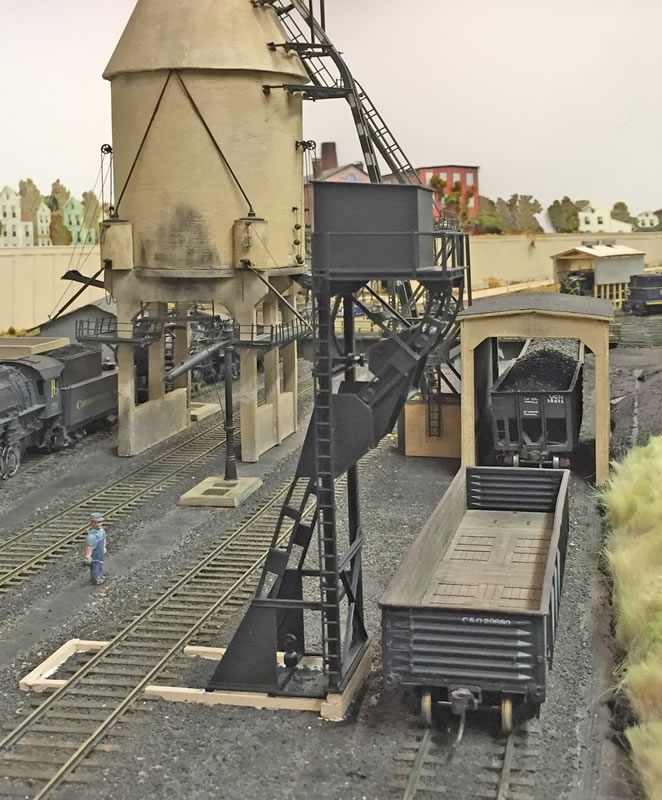 I closely followed the photos and excellent plans by Al Armitage in the Mainline Modeler article. 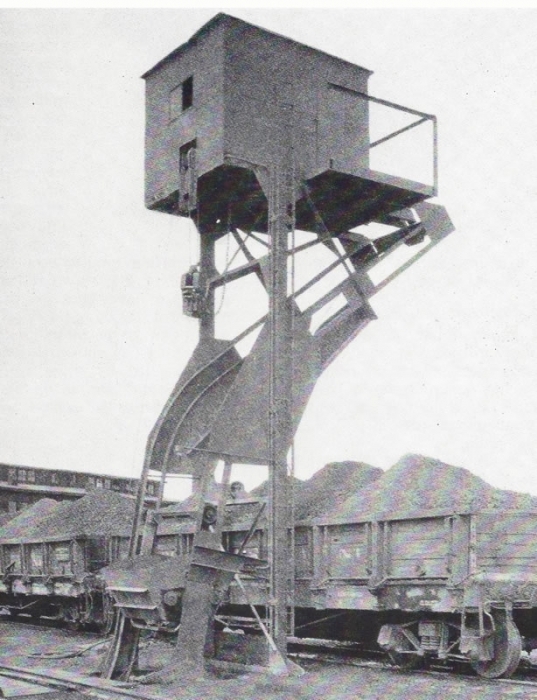 The overall dimensions and boiler/cab shapes were very close to the Espee locomotive. By using a combination of S and HO scale castings, I was able to produce a good approximation of the prototype P-10. The same methods I used for the Southern Pacific P-10 modifications can be used to convert the American Models 4-6-2 into prototypes for most roads using locomotives based on the USRA heavy Pacific. 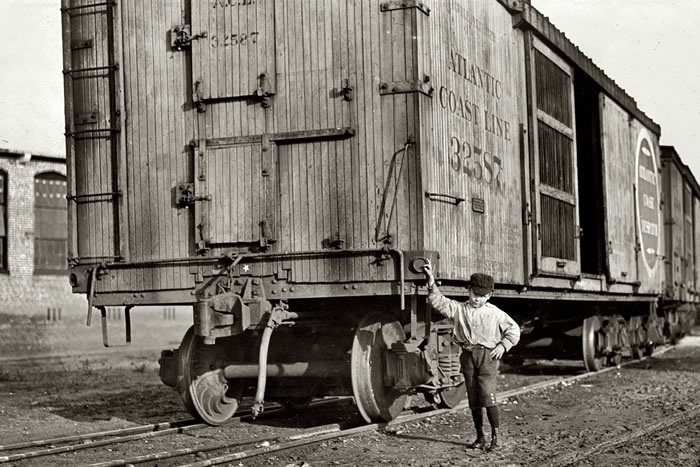 Southern Pacific’s P-10s were the last new 4-6-2s received by the Pacific Lines of Espee. They were the direct descendents of the highly successful P-8 Class (#2461-2475). A total of 14 P-10s were delivered by Baldwin in October 1923 #2478-2483) and April 1924 (#2484-2491). Like the P-8s, the P-10 class engines were designed to provide power for Southern Pacific’s long haul name passenger trains like the Overland Limited, Pacific Limited and Fast Mail. They were able to make the 536-mile run between Salt Lake City and Sparks, Nevada without the customary engine change at Carlin. They were able to do this hauling 11 heavyweight cars (weighing 875 tons) over a 1.5% grade, eliminating the many helper districts on the Overland Route. The new P-10s were nearly identical to the successful P-8 class. They weighed 300,000 lbs. Eight of these locomotives eventually received the Espee “skyline” casing, inspired by the GS Class “Daylight” 4-8-4s. Three (#2484, 2485, 2486) were rebuilt, streamlined and painted in Daylight colors for service on the new “San Joaquin Daylight” in 1941. 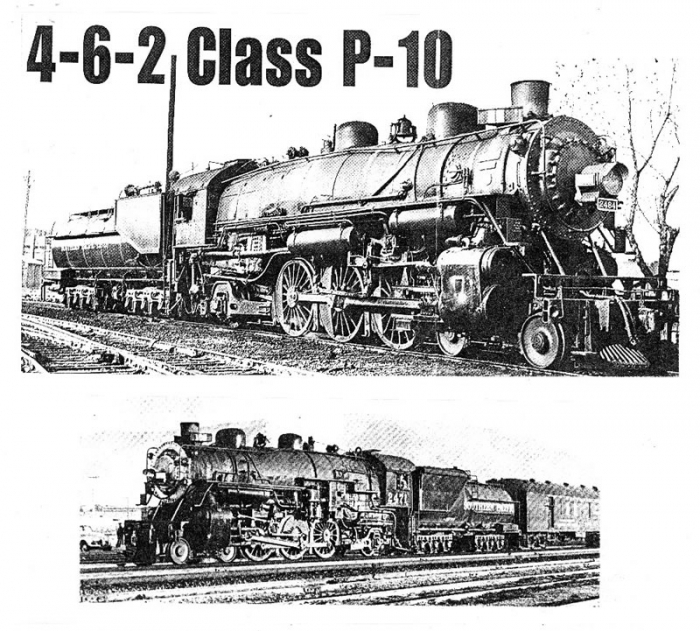 Like all steam locomotives, each P-10 developed its own identity as various modifications were made over the years, including the removal of air tanks and the Delta booster engines and the addition of air horns for commute service. As the larger Mountain and Daylight locomotives took over the name trains in the late 1930s, the P-10s were relegated to secondary passenger and freight service. 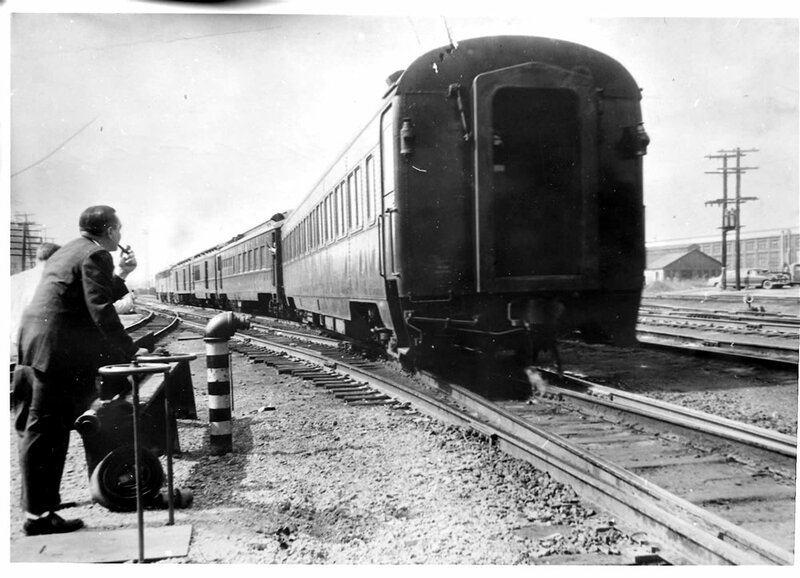 They worked right up to the end of steam on the Espee, sprinting Harriman suburban cars in commute service between San Francisco and San Jose on weekdays and racing long freights up and down the California central valley on weekends. The first of the P-10s to be scrapped was #2478 in January 1954. The last was cut up in Los Angeles, #2487, in July 1959 … nearly three years after the Espee dropped the last fires of regular steam service. One P-10 (#2479) was saved for display along with two P-8s. The #2479 has been on static display for many years at the San Jose fairgrounds. One of the P-8s (#2472) has been restored to active steam service after many years of display in San Mateo and is currently stored and operated for special events on the Niles Canyon Railway at Sunol, CA. The second (#2467) was restored to operation for Rail Fair at the California State Railroad Museum in Sacramento, CA by the Pacific Locomotive Association. It is currently out of service and displayed inside the roundhouse at the museum after suffering a blown cylinder head. The #2479, like its older sisters, is now also receiving serious restoration efforts with the hope that it too may steam again. 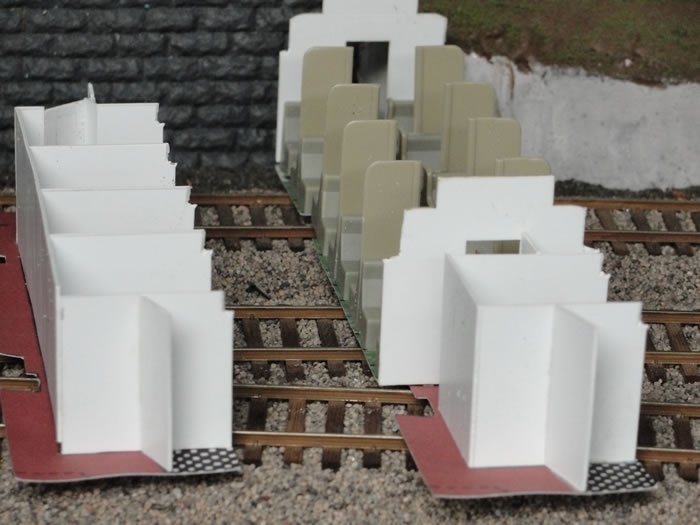 The most difficult step in the entire project was the first: Beginning the process of cutting away all of the detail from the stock boiler casting. I used a motor tool with several; cutting bits to remove all of the detail from the boiler shell, including the two domes, stack, running boards, piping, tanks and power reverse. When this task was accomplished, I spent several hours filing the boiler smooth with both a large flat file and smaller jeweler’s files. The cavity created by removing the sand dome was filled with Squadron Green putty, as were all handrail and marker light holes. Once the boiler shell was smooth, the re-assembly process could begin. This was the fun part! The difficult part of this process was the measuring and cutting of the new running boards from sheet brass. I began by making cardstock patterns to ensure the running boards would match the contours of the boiler. The motor tool with a cutting disc was then used to make the rough cut in the brass stock. I then filed these pieces to achieve a tight final fit. 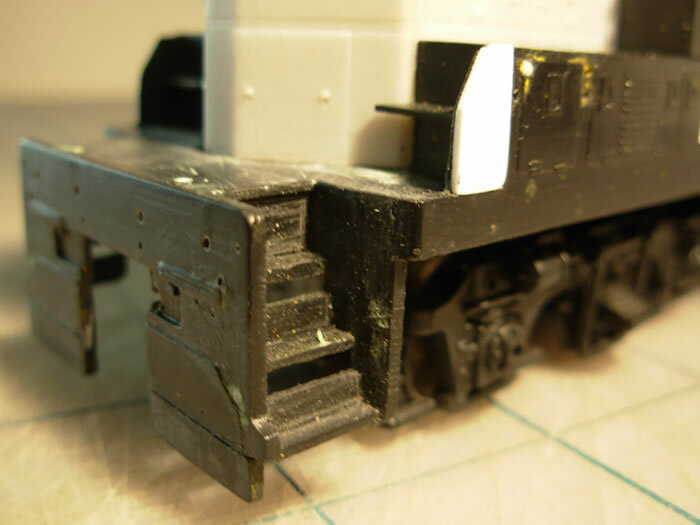 Brass wire pins were soldered to the finished running boards to fasten them on the boiler. Holes were drilled in the boiler shell for the running boards and the wire pins on the running boards were inserted into these holes. 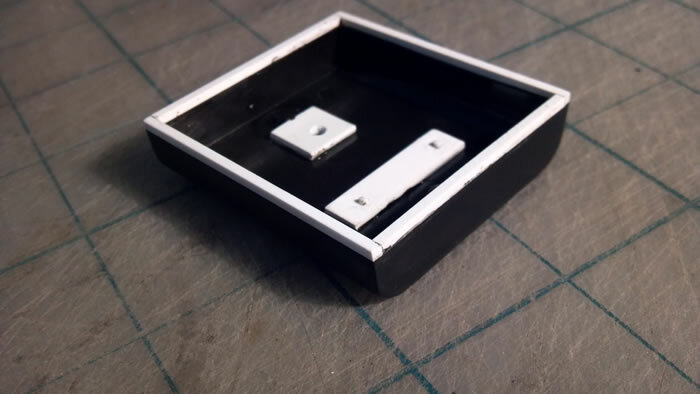 The completed assembly was glued in place with ACC (cyanoacrylate cement). This method has proven to be very strong and has held up well with prolonged use. 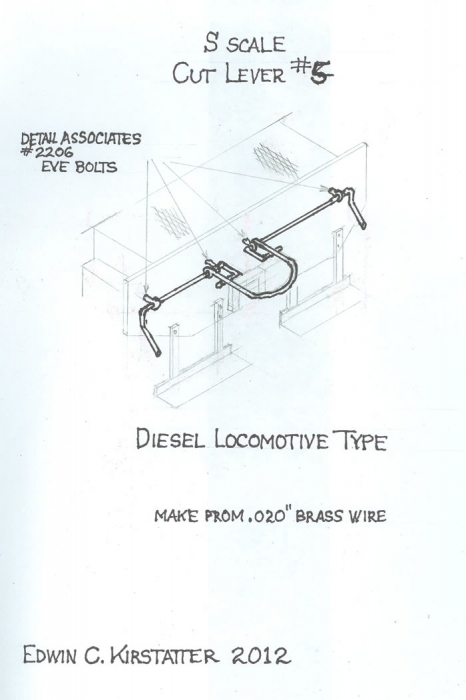 Next I formed and soldered brass wire to brass strapping material to create the sets of air piping for both sides of the locomotive. 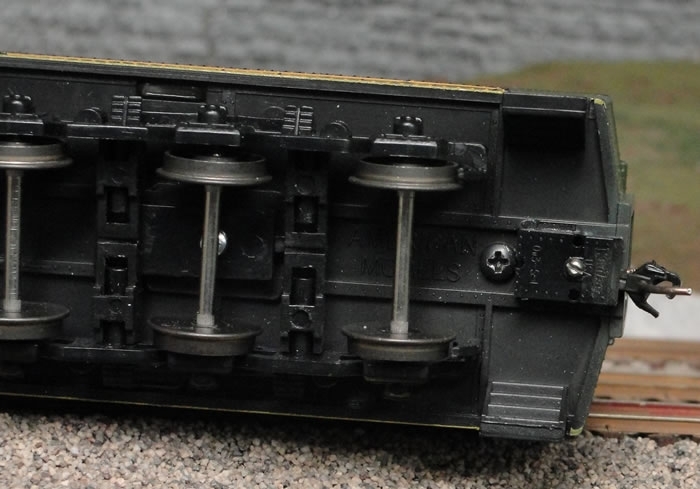 The brass strapping supports were then soldered to the undersides of the new running boards. The larger replacement castings were added next, including the stack, domes, injector, lubricator and turret. Boiler bands were constructed from .10 x 1/16″ styrene strip and added to the boiler with ACC. Boiler side detail was added by applying the three air tanks, air pump, feedwater heater and power reverse with ACC. Cast piping for the feedwater system, injector, check valve and booster engine piping was soldered to the appropriate brass castings, pinned with brass wire and ACC where required. 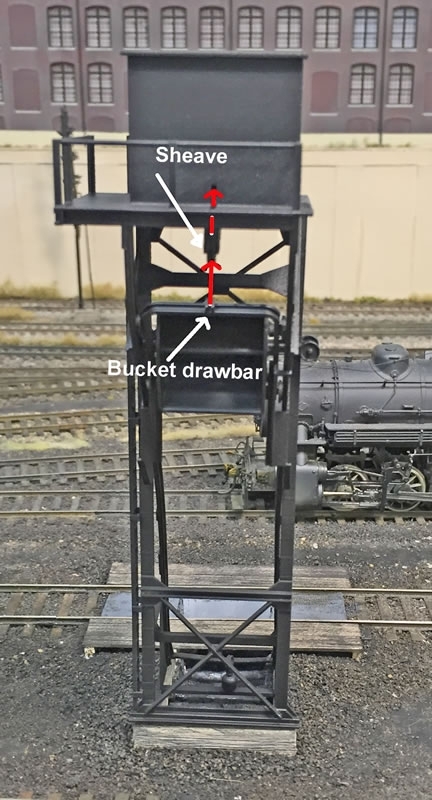 Lastly, the smaller details were ACC’d to the boiler including washout plugs, blowdowns, boiler steps, sander valves/piping, regulators, stanchions/handrails, indicator boards, marker lamps, five chime whistle and bell. 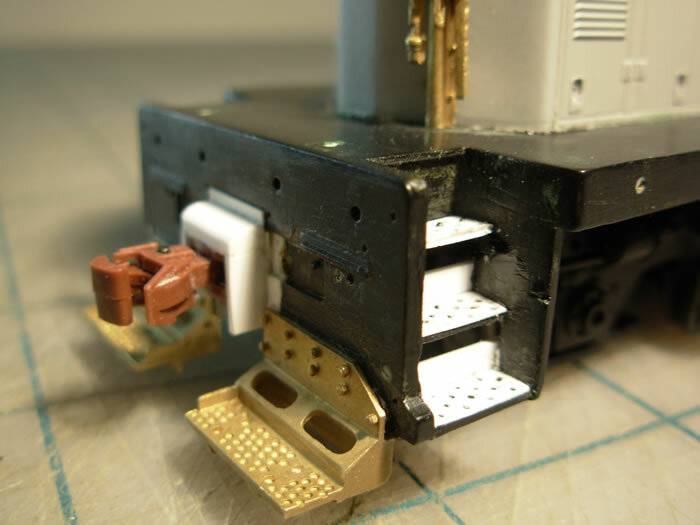 The large switch inside the cab was removed, along with the factory plug system. 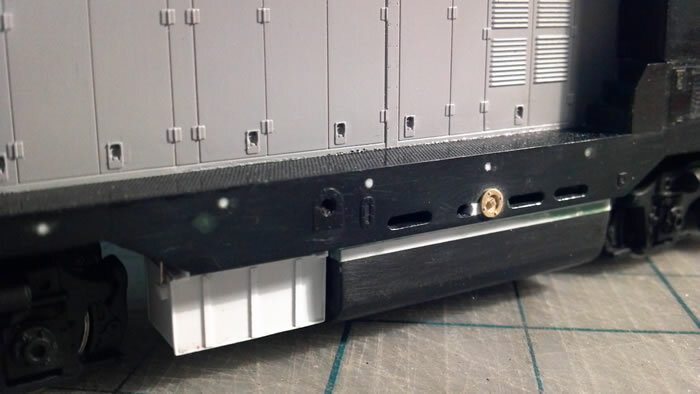 This allowed me to add a styrene firebox extender to cover the flywheel and provide a platform onto which I could add the appropriate cab detail. I used Cal-Scale HO castings for the throttle, air brake stand, oil valve, reverse quadrant and gages. Actual glass windows and Arttista figures were added after painting. The PBL Sunbeam headlight was cut from its base and remounted on a River Raisin headlight bracket. This assembly was then ACC’d to the boiler front along with the new stanchions and hand rails. 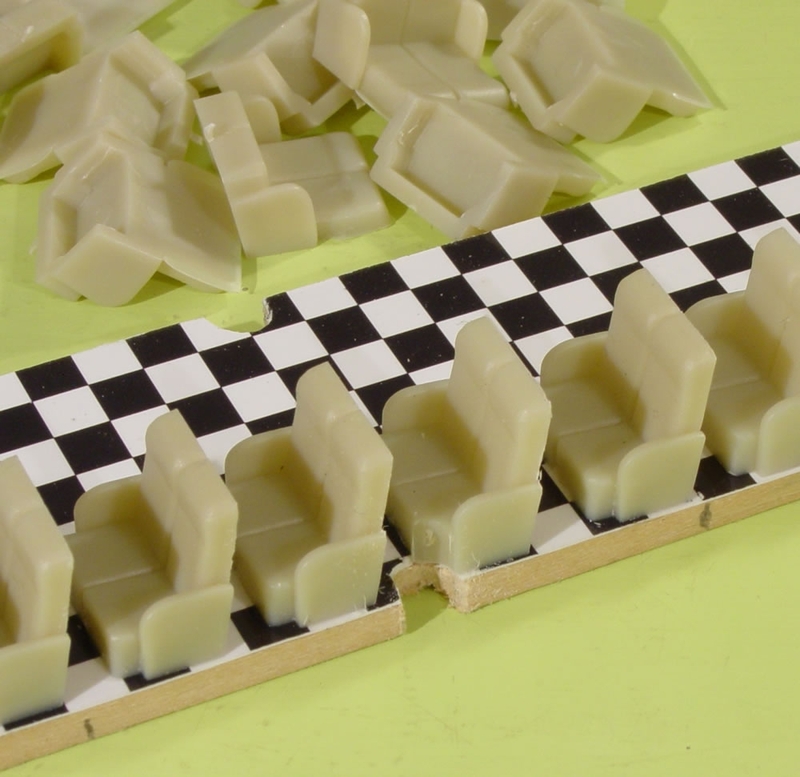 A full width step assembly was constructed from styrene and ACC’d to the pilot platform along with air and steam lines. Handrail stanchions and brass wire were used to construct the coupler lift bar and this was added, together with a Kadee #5 coupler, to the pilot. River Raisin makes a complete brass pilot assembly using the Espee’s unique pressed-pilot and this assembly has now been installed on my P-10. The crosshead was modified to resemble the correct Walschaert valve gear and a lower crosshead guide added to complete the illusion. Precision plastic locomotive brake hangers and shoes were added to the back two sets of drivers and a brake shoe assembly was fabricated using brass wire and Precision plastic brake shoes to the pilot truck. The prototype P-10s carried large four-hatch Vanderbilt tenders. 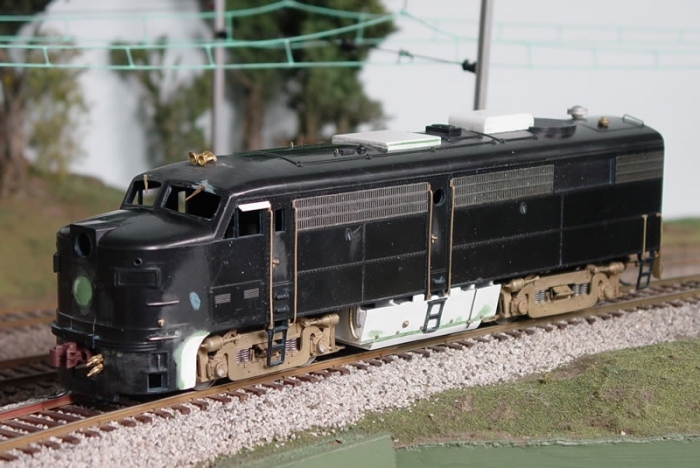 Having no desire to fabricate one of these complicated monsters from scratch, I obtained a four-hatch C-100 tender from SouthWind Models and equipped with the six-wheel trucks from the original American Models tender. The still larger C-120 tender was imported in brass by River Raisin and is also an appropriate tender for the P-10. Because I use a PFM sound system, I removed the American Models chuff and smoke feature from my model. The tender was then rewired with a new connector plug to replace the original oversize switch and plug arrangement. The locomotive was airbrushed with Accu-Paint black and weathered with various Floquil colors to resemble an engine after moderate use. Numbered 2484, the model is intended to represent the prototype during 1940 when it was equipped with a working Delta booster truck and feedwater system (prior to streamlining). 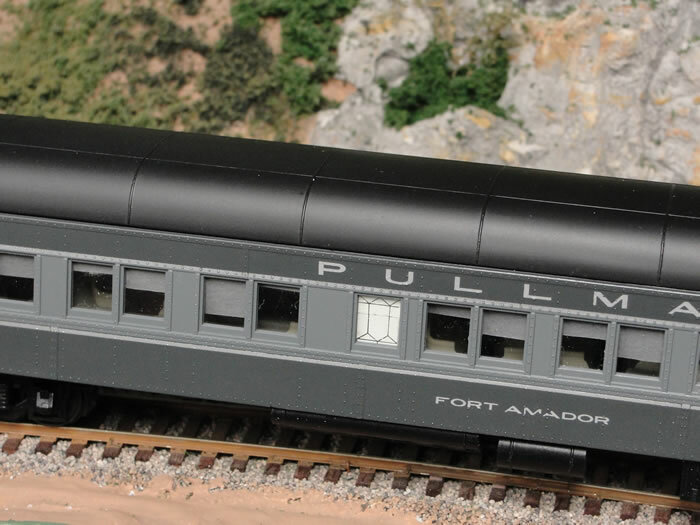 The resulting model provides the unique image of the prototype Southern Pacific P-10, yet retains the fine running qualities of the original American Models Pacific. I hope this conversion example provides an incentive for others to try their hand at creating their favorite USRA-style heavy Pacific, be it the easier B&O super detailing project (see Brooks Stover’s article elsewhere on this website) or a major conversion to something like Union Pacific’s massive 2900 or 3100 Pacifics. All the model photos were taken by the author. They represent the various stages of construction described in the text, as well as the finished model. The prototype photos were, we think, taken by William Raia. 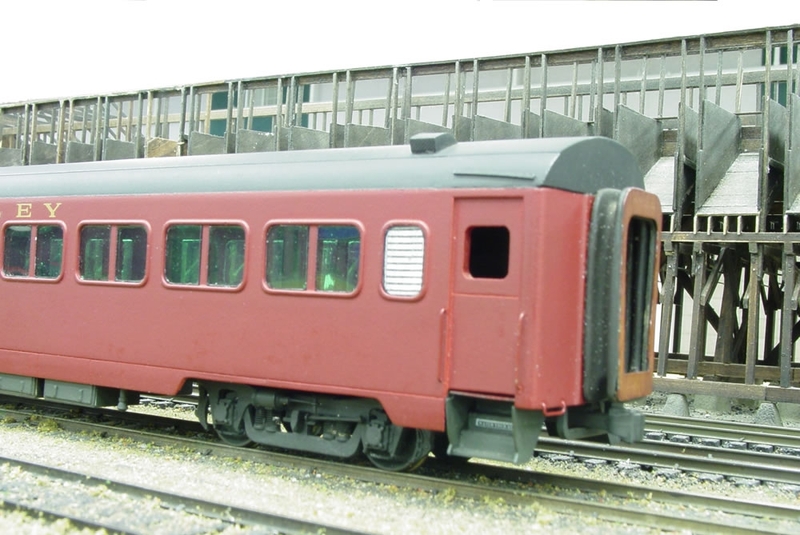 The model photos show a shorter-than-prototype three-hatch tender that has since been replaced by the proper four-hatch tender from SouthWind Models, refitted with the same American Models trucks described in the text. Plans courtesy of Mainline Modeler magazine. The American Models GP-9 is a fine starting point toward creating a very nice GP-7. Historically the GP-7 predated the GP-9 with the first production models introduced in 1949. 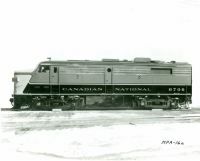 Aside from EMD’s less popular BL-1 and BL-2 models it was the manufacturer’s first successful road switcher with 2,729 units produced and originally purchased by more than 50 railroads. 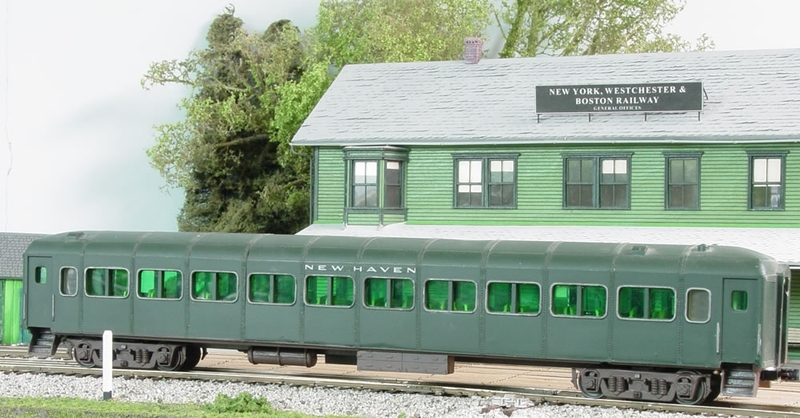 For the S Scale modeler interested in modeling the GP-7 few options exist. 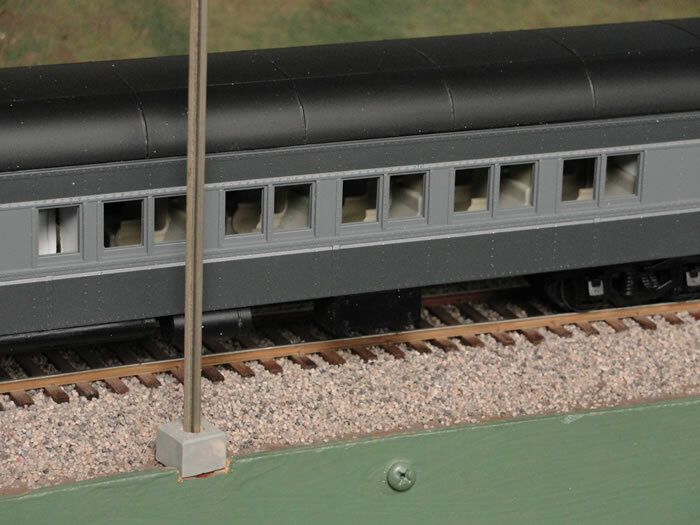 American Flyer produced a GP-7, but converting this particular model to scale would be a significant challenge because the only usable feature would be the body shell and the shell itself is a crude representation of the EMD car body. 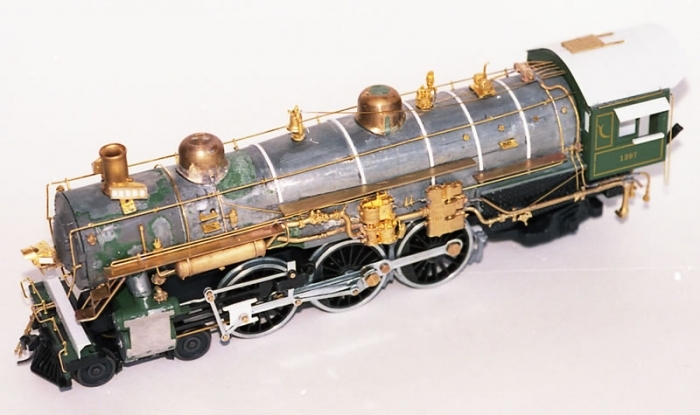 Sunset Models imported an S Scale brass version in the 1980s. Outwardly the models were quite nice but those modelers that purchased the units have complained about mechanical problems. 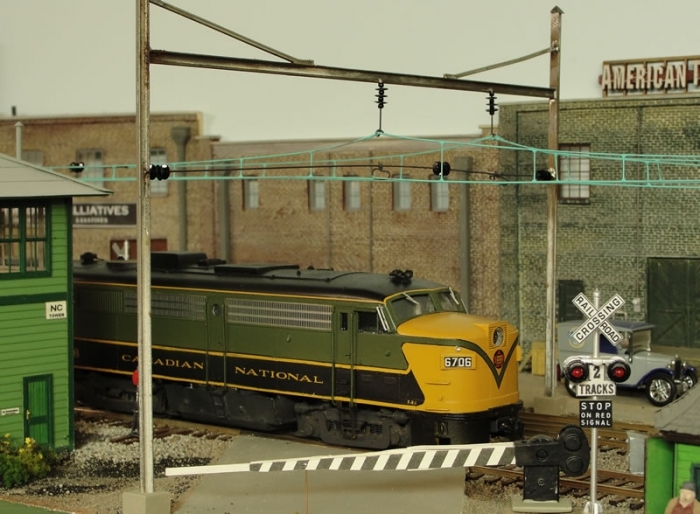 By contrast, the American Models GP-9 is a relatively smooth running locomotive that has for the most part been accurately modeled in S Scale. So it would be only natural that their GP-9 would make a fine starting point for modeling the GP-7. In addition, a few years ago Des Plaines Hobbies produced a GP-7 long hood specifically intended to convert the American Models (AM) GP-9 in to an accurate GP-7. I purchased the long hood and related parts a few years ago and decided to give it a try recently. The prototype for my GP-7 conversion is PRR 8551, which was a very unique version of EMD’s first road switcher. 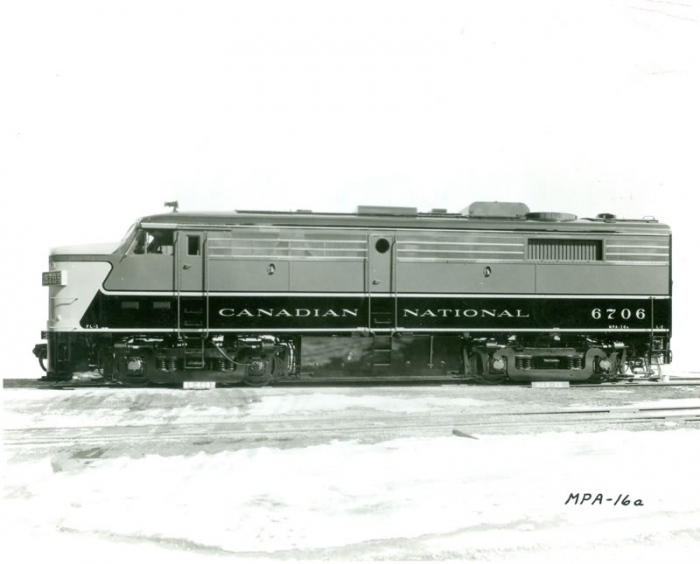 The Pennsylvania Railroad purchased 66 GP-7s and only three were ordered with roof mounted air tanks. PRR nos. 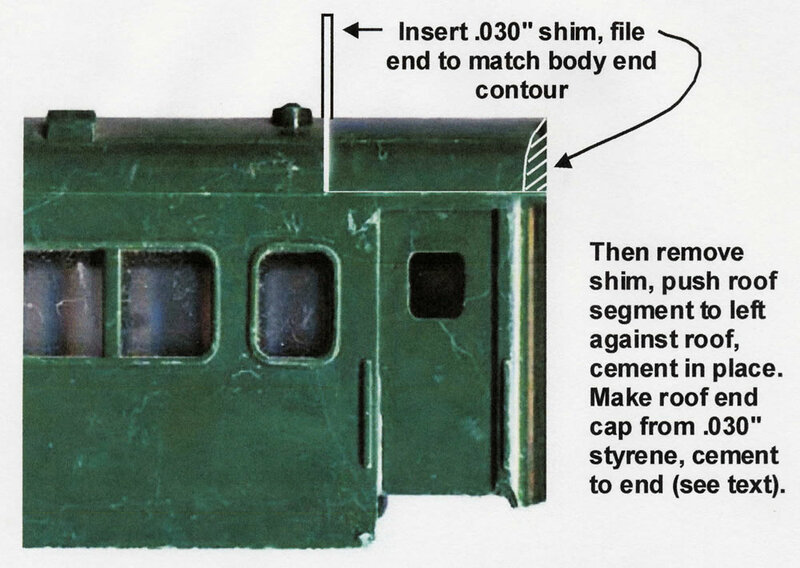 8551, 8552 and 8553 were passenger units equipped with steam boilers and the space in front of the fuel tank, where the air tanks would normally be mounted, was occupied by a cab signal equipment box. Of the thousands of hood units order by the Pennsy, only these three have roof-mounted air tanks. 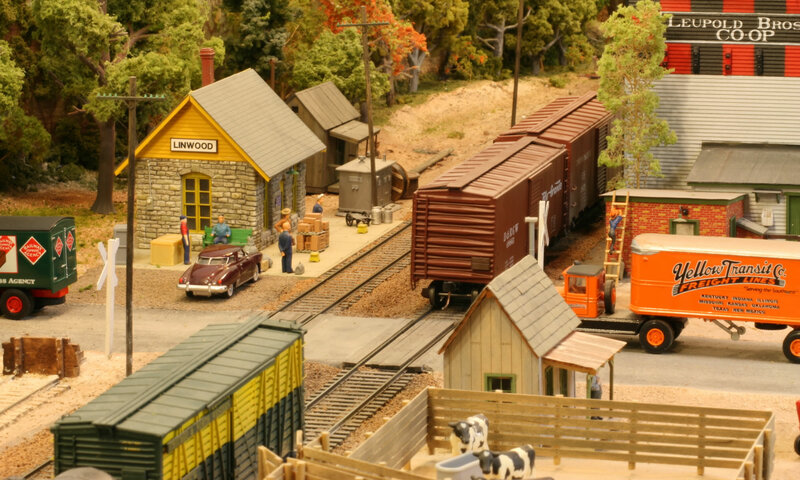 I model the PRR’s Elmira Branch in the mid-1950s and 8551 and sister unit 8552 were frequent visitors on the branch. They mostly handled freight assignments when they weren’t handling the remnant of passenger service from Canandaigua to Williamsport. 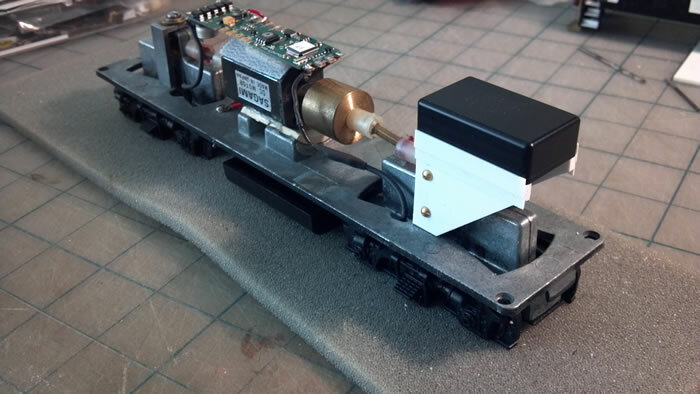 The techniques that I’ve use for building the GP-7 can be applied to any prototype and thanks to suppliers such as Des Plaines Hobbies (DPH) and Bill’s Train Shop (BTS) just about any version of the GP-7 can be modeled in S Scale. I’ve included a parts list at the end of this article, but the most important item that you’ll need is the GP-7 long hood conversion kit from DPH. This is a beautifully reproduced plastic casting that is designed to replace the AM GP-9 long hood. You could also purchase the DPH short hood as well, but there is really nothing wrong with the AM short hood. I chose to replace mine with the DPH version because I like the detail of the hood doors which were flush like the prototype instead of the raised door panels on the AM version. The DPH GP-7 long hood represents a Phase I GP-7 car body with 86” high engine access doors. There are subtle differences in the door height arrangement in the various phases. Chances are that if you’re building one of the later phase units no one would notice difference in door heights particularly on a non-dynamic brake unit. 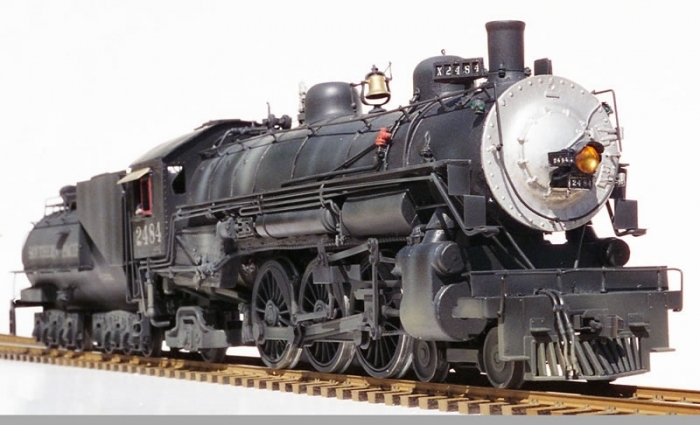 The real PRR 8551 is actually a Phase III GP-7. An excellent article along with plans for the EMD GP-7 appears in the October 1982 issue of Mainline Modeler (long out-of-print but back issues can be found on-line). The plans are drawn in 3/16ths in scale and are accurately drawn. The first order of business is removing the long hood from the GP-9 body shell (and the short hood if you go that route). This is where an extreme amount of care needs to be exercised because you don’t want to mar the surface of the portion of the Geep body that must remain. Before making any cuts remove the cab body section and completely cover all walkway surfaces with masking tape. I cut the long hood from the GP-9 with an X-acto™ no. 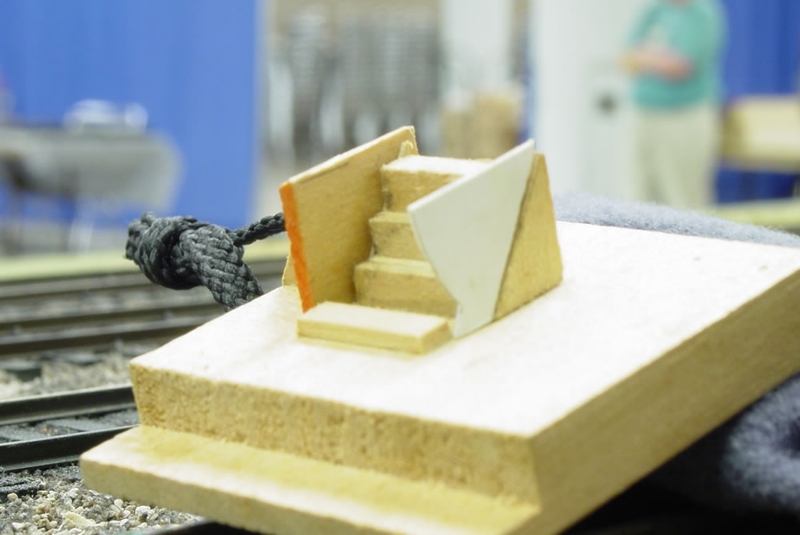 13 micro saw blade in an X-acto™ knife holder and made the cut flush with the top surface of the walkway. The DPH hood is designed to sit on top of the walkway so after making the cut sand any remnants of the old hood flush with the walkway tops. 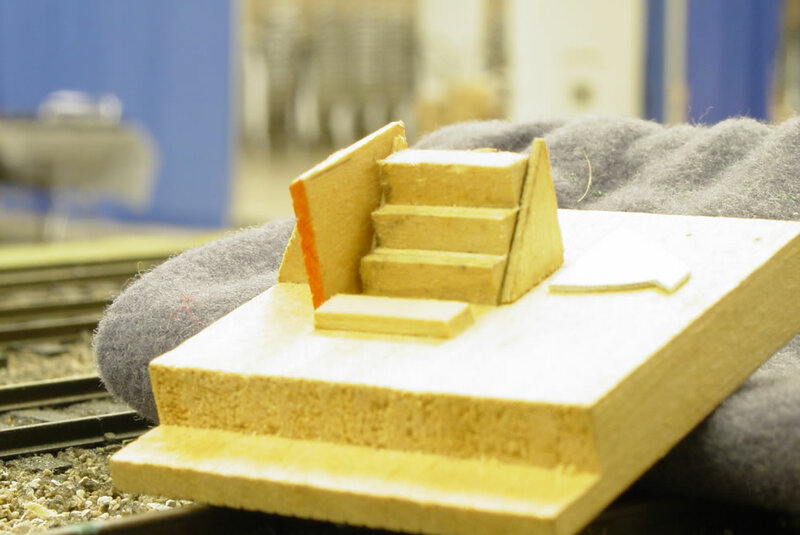 Pay particular attention as to how the DPH shell fits around the raised portions of the walkway as additional vertical cuts are needed in those areas to properly seat the new long hood. Once the new long hood is in place the remainder of the details can be installed. Regardless of which version of the GP-7 you build, the roof top cooling fans need to be installed. All GP-7s had four cooling fans – two above the rear radiator section and two above the generator area. 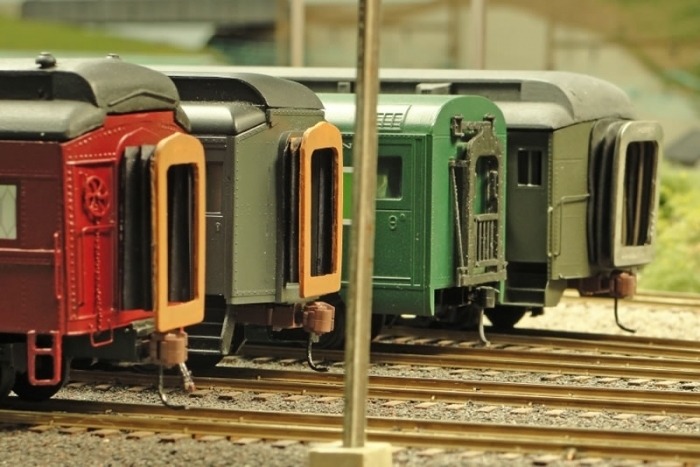 These are available from BTS, or alternately, you can use HO cooling fans from Details West. As it turns out, 48”dia. HO fans are very close to 36” dia. fans in S Scale. The conversion kit does not include exhaust stacks, but brass stack castings are also available from BTS. I added lift rings using Northeastern Models eye pins which are a bit oversized but they look much better than the HO equivalent. On my version of the GP-7 I installed the roof mounted air tanks, Pennsy antenna wire conduits, steam generator details, and a three chime air horn. If you’re modeling a dynamic brake version of the GP-7 you can use the AM GP-9 dynamic brake components without modification, otherwise your roof details are complete. One thing lacking from the DPH long hood components is the raised marker light assembly. I fabricated mine from a piece of 1/8”- O.D Evergreen plastic tubing cut on an angle and glued in place. I then filled in with putty adjacent to the tubing to provide a smooth taper to the car body. 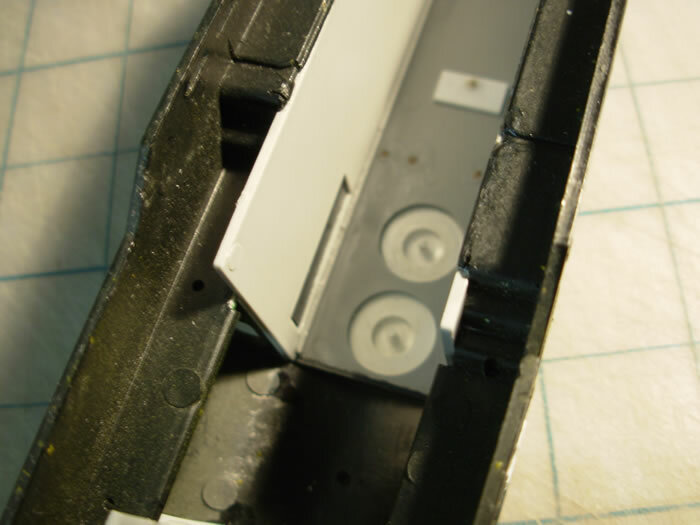 I chose not to illuminate the number boards so I mounted strips of 0.02” styrene behind the openings. This created too deep a recess and I then added another piece of 0.02” styrene to fill the recess and bring the number board surface closer to the face of the car body. DPH produces a set of air intake screens that mount on the sides of the long hood below the cooling fans. The AM intakes will work fine but the DPH screens are see through and have much nicer detail. I also added grab irons fabricated from 0.015” dia. brass wire to the ends of both hoods. The DPH hood ends are pre-drilled to ease the installation of the grab irons. To complete the long hood I added a BTS lever-type hand brake casting. One important detail that distinguishes the GP-7 from the GP-9 is the set of louvers located on the battery box door below the cab window. All GP-7s had these louvers while the GP-9 did not. Fortunately, plastic louvers are available from DPH. 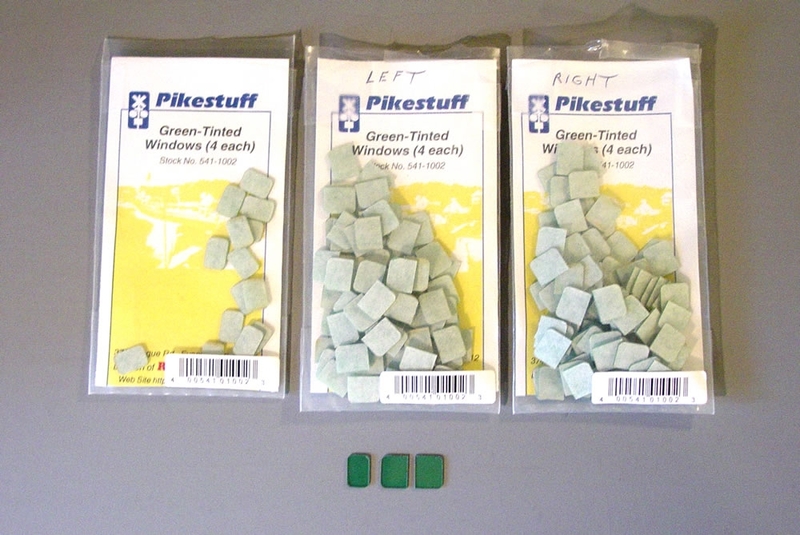 They come on an injected molded sheet and must be cut out individually. They are very thin in cross-section but I chose to make them even thinner by sanding the back side of each louver until they resulting thickness was about 0.005” thick. Even with that, the edge of the louver material is still visible, but the end result is certainly not objectionable. The prototype GP-7 was offered with two different fuel tank options. 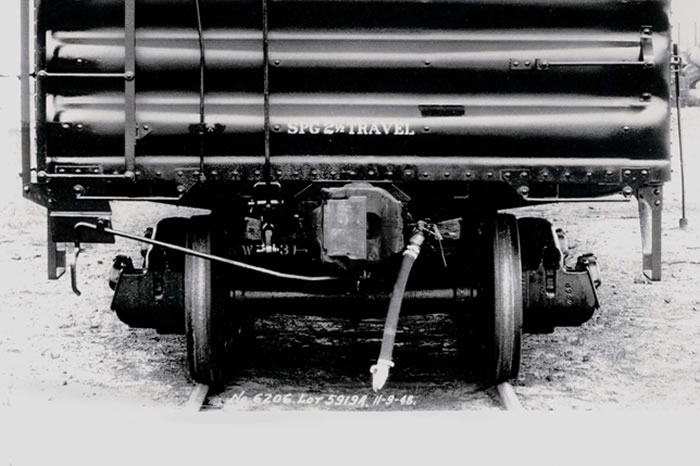 A combined fuel/water tank was provided for passenger Geeps and a fuel only tank was available for freight units. The AM model featured the passenger version. The cross-section profile of the two tanks is noticeably different. 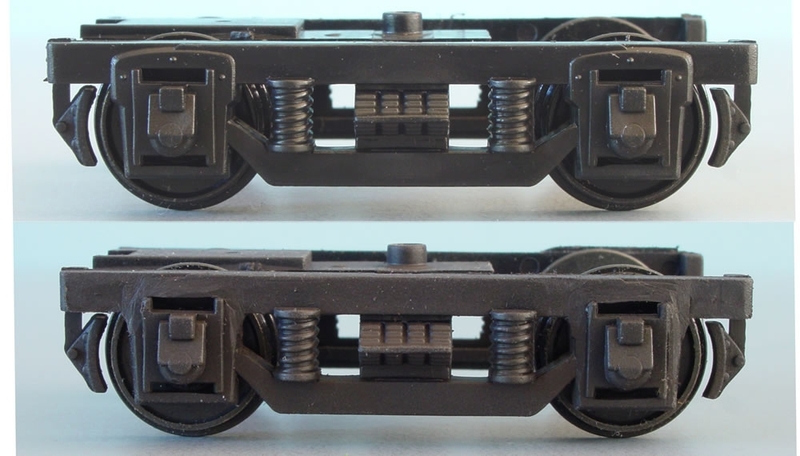 The passenger tank is more rectangular in cross-section and the freight version is more rounded on the bottom. I used the AM tank which is approximately 6-scale inches too short meaning it rides too high above the rails. I extended the sides of the tank by adding 0.08” strips to compensate for the difference and added a spacer under the mounting tab. 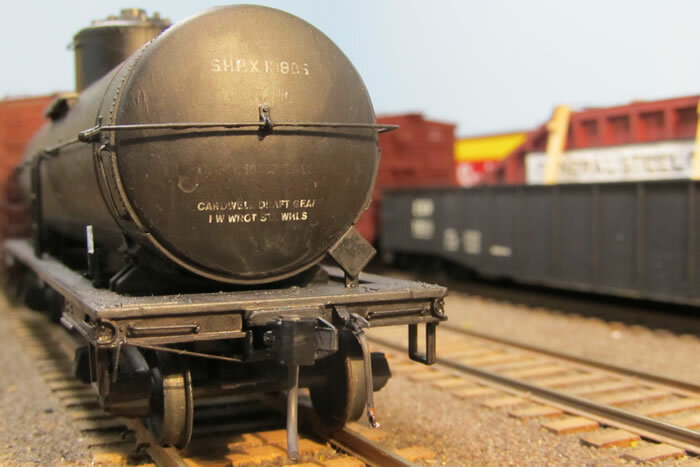 If you’re modeling the freight version, I recommend using the AM fuel tank from their GP-35. This has the correct cross-section, but may need to be shortened to the proper length. 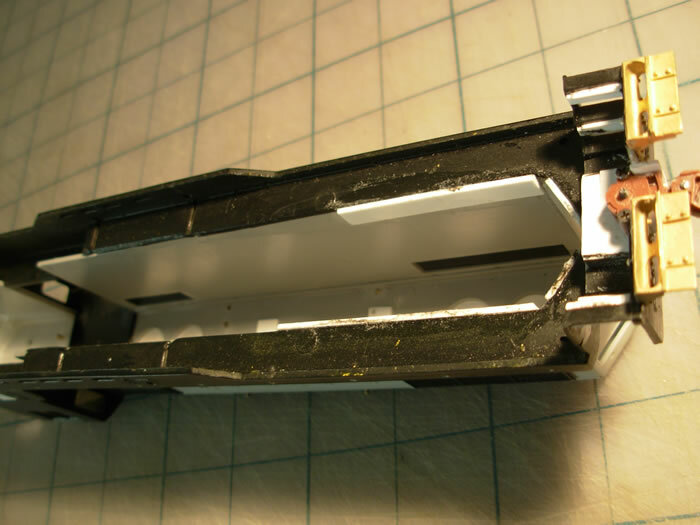 Another area on the AM body shell that definitely needs improvement is the pilot/coupler mounting area. The AM pilot has a large opening where the coupler mounting tab from the frame protrudes through the pilot opening. 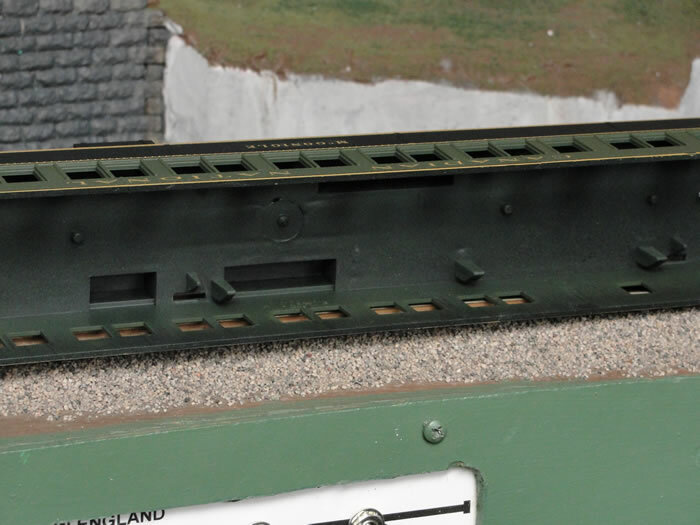 This opening is extra large because the AM GP-9 is designed to accommodate the American Flyer coupler used on the hi-rail version of the model. I chose to body mount the scale couplers in lieu of using the frame mounted tabs. 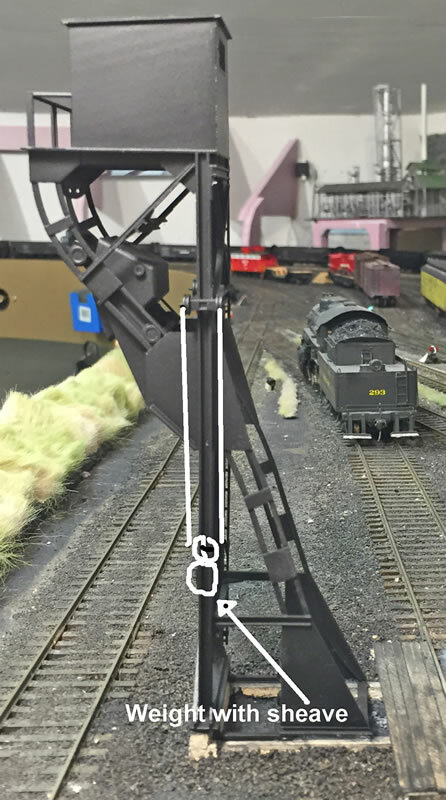 In order to do so, you must cut off the die cast frame extensions and build up the area behind the pilot and beneath the end platform to accept the scale coupler. 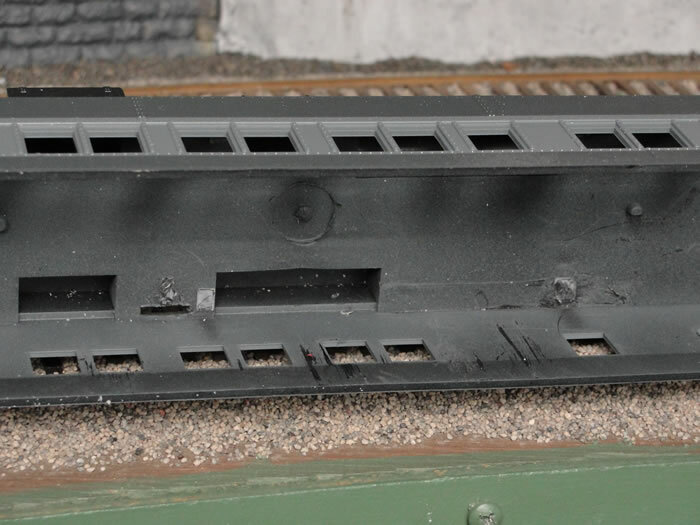 The pilot opening was altered with styrene strips following the plans in Mainline Modeler in an effort narrow the opening and create a draft gear box to mount the coupler. The GP-7 had distinctive handrails stanchions that were not used on subsequent EMD road switchers. 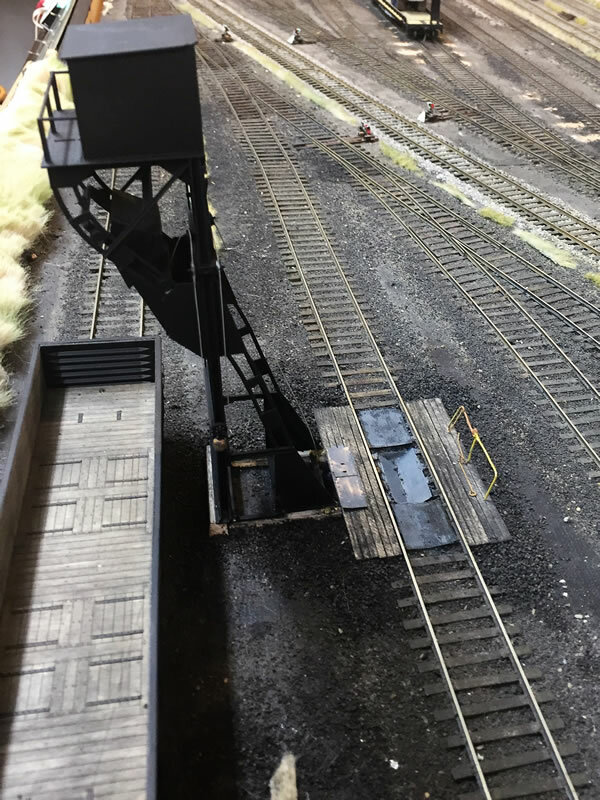 I used the early GP-7 handrail stanchions which were originally available as brass castings from DPH, but are no longer listed on their web site. Fortunately, they are available from BTS as part no. 02066. The stanchions are very delicate but well worth the effort in completing the finished model. I used 0.015” wire for the handrails. Though the handrail stanchions are located at the same locations on both the GP-9 and the GP-7, the mounting hole on the AM GP-9 are too large for the mounting pins on the brass handrail stanchion castings. I filled the AM holes with 0.035” styrene rod and drilled new holes in the correct diameter. 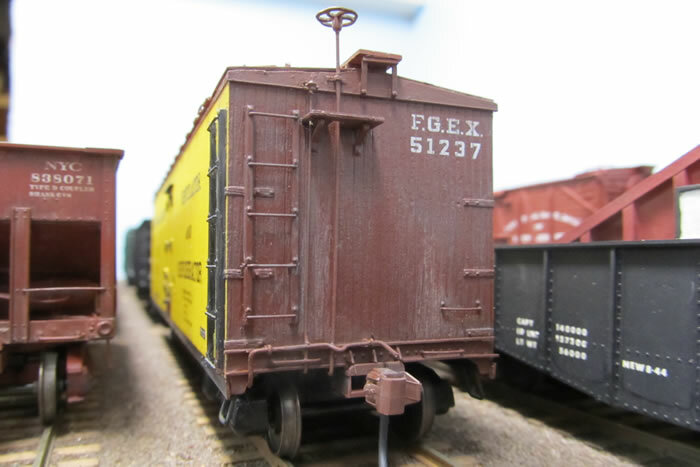 Most GP-7s were ordered with multiple unit capabilities, so adding the MU cables and MU stands are a necessary feature. BTS offers different versions of the MU stands and MU hoses though most early Geeps were ordered with high MU stands. 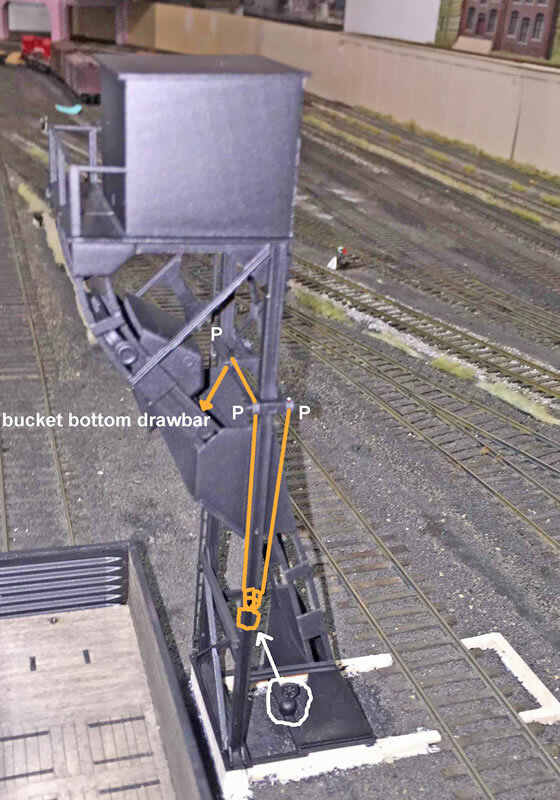 Other pilot details worth considering are drop steps at the end platforms to enable worker passage between units when MU’d together; coupler pin lift bars; pilot steps; a front grab bar, and a small section of chain spanning the end handrail opening above the drop step. 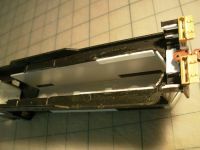 The AM GP-9 corner step wells are not accurately represented on the body casting. The tread portion of each step is too short. 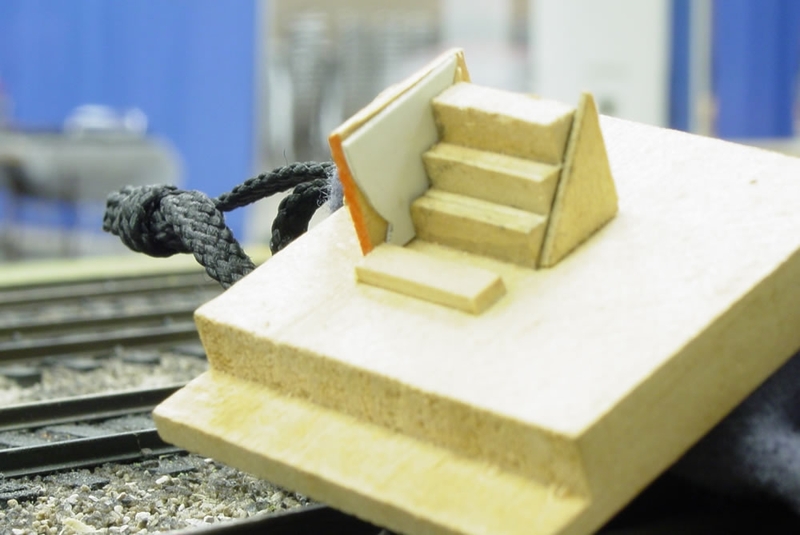 I chose to modify the steps so that each tread was closer to the scale dimension. To do so, I removed the riser from each step and applied a new 10” wide tread as an overlay to the old tread. For this I used a strip of 0.01” styrene and perforated each tread using a no.72 drill bit to represent the pattern on the prototype. Once these were glued in place, I added new risers made from strips of styrene. Since I went through the effort to keep my crews safe by perforating the ends steps, it is only natural that I would want to have a non-skid surface on the walkways. To achieve this I used the new tread plate texture made specifically for S Scale Geeps by Archer Fine Transfers. The texture is applied in a manner similar to applying decals and once set resembles a metal surface with small raised dimples just like the prototype. I painted the body shell with Scalecoat™’s PRR Brunswick Green. I didn’t prime any of the surfaces because I applied a dark color, but if you’re using a lighter color, I would definitely recommend priming all surfaces before painting. The Scalecoat™ finish creates a glossy enough surface so that decals can be applied without applying a gloss coat. 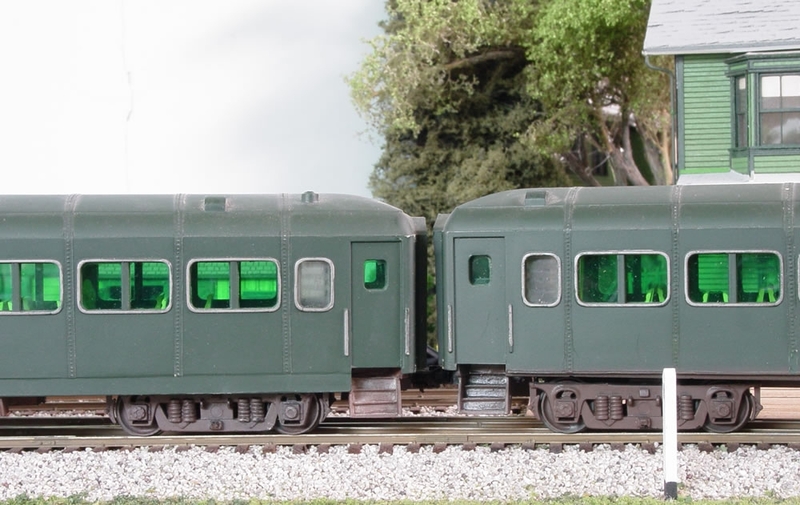 I painted the window frames silver to represent the aluminum frames found on the prototype. I have not solved the headlight lens issue yet as no commercially available clear plastic lenses are available as inserts for the dual headlight castings. Recently I found some clear plastic rod that is close to the diameter of the opening, but as of this writing I have not installed them. I installed DCC with sound and mounted the speaker in the short hood above the gear tower. The space is rather tight, but I used a rectangular speaker with enclosure and mounted it to the gear tower support by fabricating a bracket from styrene and securing it to the tower with short 2-56 machine screws after drilling and tapping the tower support. PRR 8551 is now ready for service for just about any assignment from hauling passengers to helper service to everything in between. Truly a General Purpose locomotive as EMD had intended. 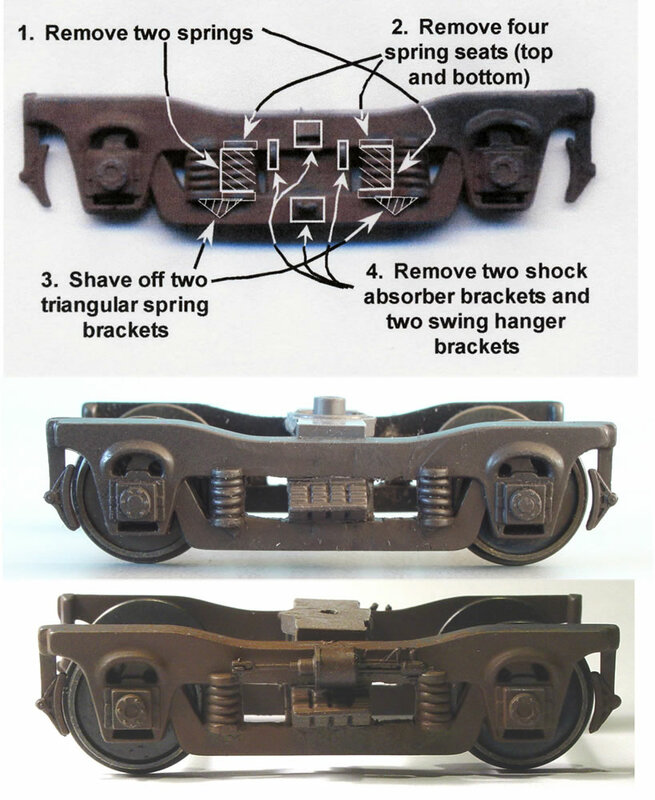 Commonly called “cut bars” by railroaders, uncoupling levers are not included in most S scale kits and some ready-to-run models. 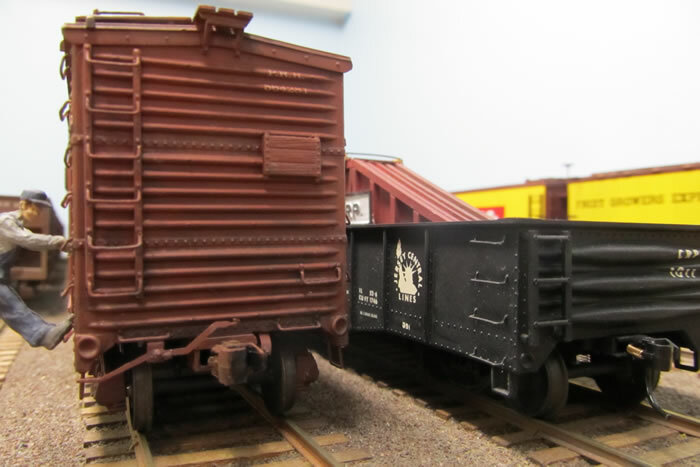 Many brass cars include them, although sometimes they must be attached by the modeler. For our cars, we often have to make our own. There are two basic types: top- operated and bottom-operated. 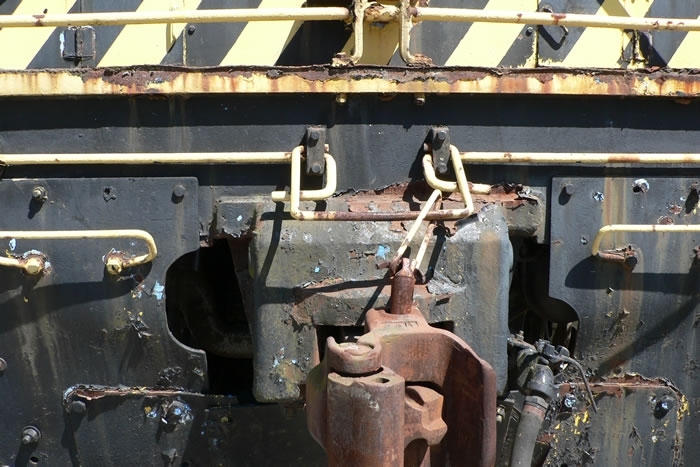 Older couplers were uncoupled by pulling the locking pin up. 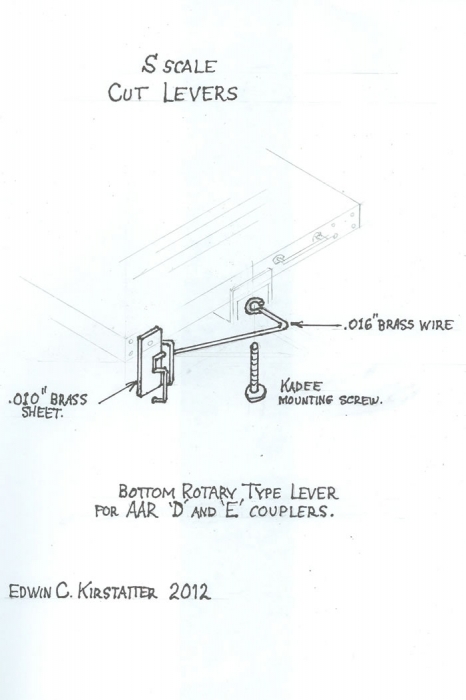 The newer types use a rotary motion, below the coupler body, to lift the locking device. Additionally, there are several variations within the top-operated type. 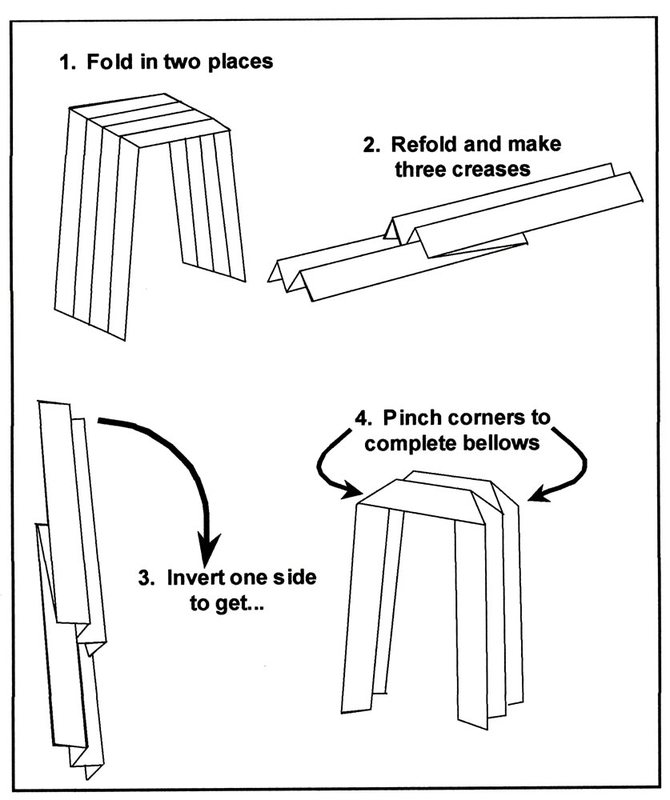 Making cut bars really isn’t very hard; here’s how I do it. To build these bars I use .016″ (26 gage) brass wire. The wire I use comes on a spool and needs to be straightened. It’s very hard and breaks easily when making 90 degree bends, so I anneal the wire to make it soft. A match will do the job, although a small torch or cigarette lighter will work better. Be careful, since too much heat will melt this small wire. Straight wire of half hard brass, phosphor bronze or iron would work better. Music wire will also work, but your bends must be right the first time, as you cannot straighten it without breaking. Tichy Train Group has .015″ phosphor bronze straight wire that works very nicely. The bottom-operating type is the easest to make, as it only requires one pivot point near the left edge of the car below the poling pocket or where it would have been. First, if there is no place on your model to mount that outer pivot, you need to add a mounting plate made from plastic or metal. Drill a hole in it for the eye bolt and cement or solder in place. 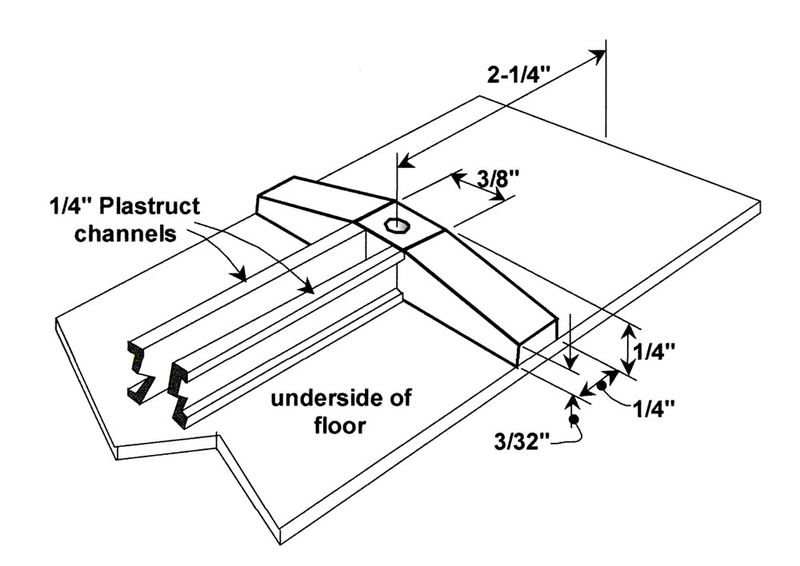 Now you can make a bar from .016″ wire. Bend a loop in the end of the wire to fit around one of the Kadee coupler box mounting screws. Then bend the wire toward the trip pin and finally to the left and upward at an angle going toward the eye bolt. Fish the wire through the eye bolt and secure the looped end with one of the mounting screws. Bend the brakeman’s handle down and cut off at 15 scale inches. To make the top-operating bar for the “A end” (the car end opposite the brakewheel end), start by bending a small loop at the end of a piece of wire. This simulates where a link, which would have gone down to a prototype coupler’s lifting pin, would be attached. The link will not be represented, as we can’t operate Kadees using these. Now, measure the distance from your coupler’s knuckle pivot pin back to the end of the car. Using this dimension, make a 90 degree bend to the left, keeping your loop horizontal. Now measure from coupler center to the near left edge of the car. If your model has a poling pocket, you will measure to just inside of it. With this dimension, bend your wire down 90 degrees. This will form the handle the brakeman grabs to lift the bar and uncouple the car. 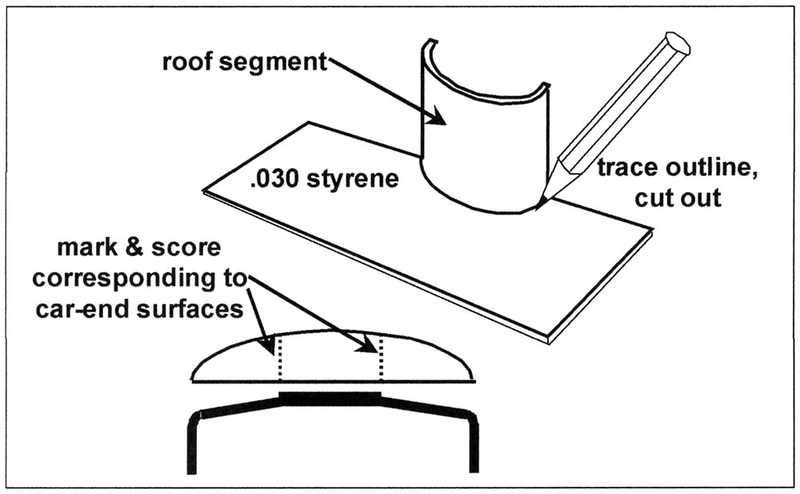 Reference the illustrations and prototype photographs included with this article to further understand these bends. Cut the wire off a scale 15″ below the bend. You have now formed your cut bar. You need two pivot points for this bar, one at each end. For these I use Detail Associates #2206 HO Eye Bolts, or lift rings as they are sometimes called. Mark the car end and drill for these. One will be in the center of the car end just above the end sill. The other will be at the left edge where the bar drops down. String the two eyebolts onto the bar; then press their shanks into the holes you drilled. The shanks of the Eye Bolts are slightly smaller than a #80 drill. Cement them in place with Super Glue, Pliobond or Walthers Goo. You have now completed the A end of the car. The cut bar on the “B end,” or brake wheel end, is a little different. 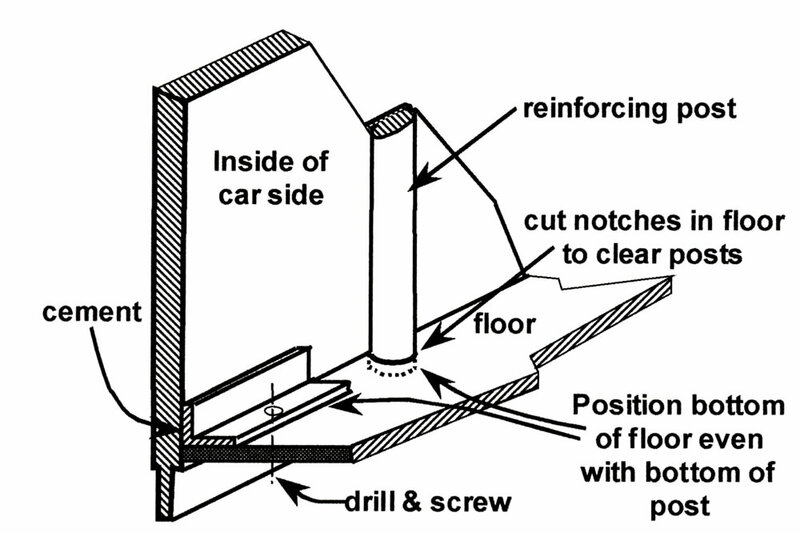 At the B end, the uncoupling bar passes over or around the handbrake staff. You will have to make a little bulge in the bar at this place to clear the brake staff. 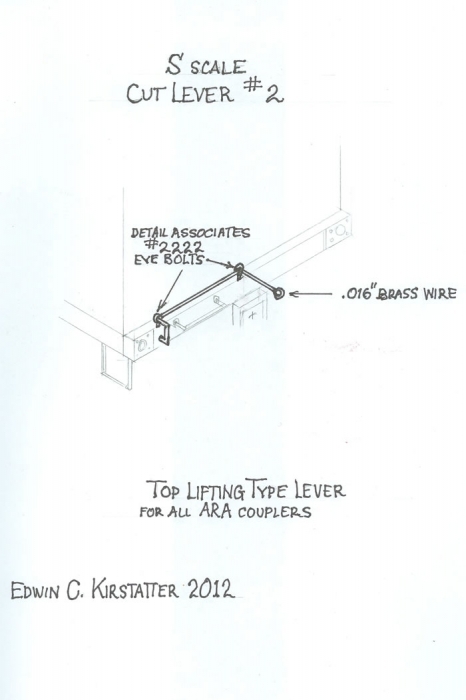 There is another type of top-operated uncoupling bar called a Carmer coupler lifting lever. You will find these on many older cars and especially on the Pennsylvania Railroad. This type has a pivot at about the mid point from car side to coupler. 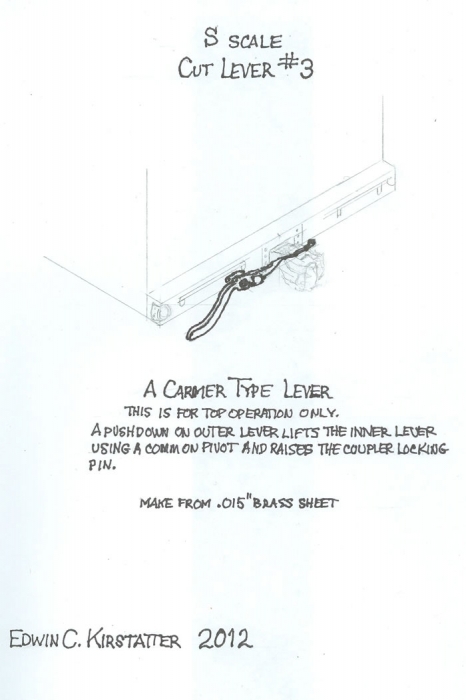 The Carmer coupler lifting lever requires the brakeman to push down rather than lift up. This lever is more difficult to make. I cut the basic shape from .015″ sheet brass. Standard Railway Supply made an etched brass version that is usable and may still be found. 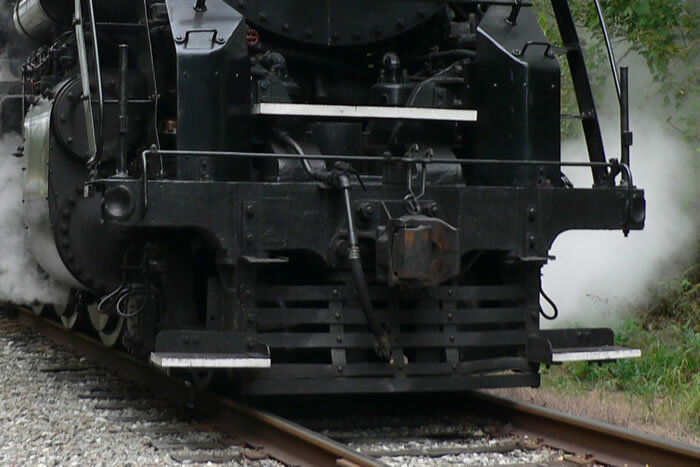 The cut levers used on steam locomotives and diesels are different from those used on cars and the levers used on diesel locomotives differ from those on steamers. 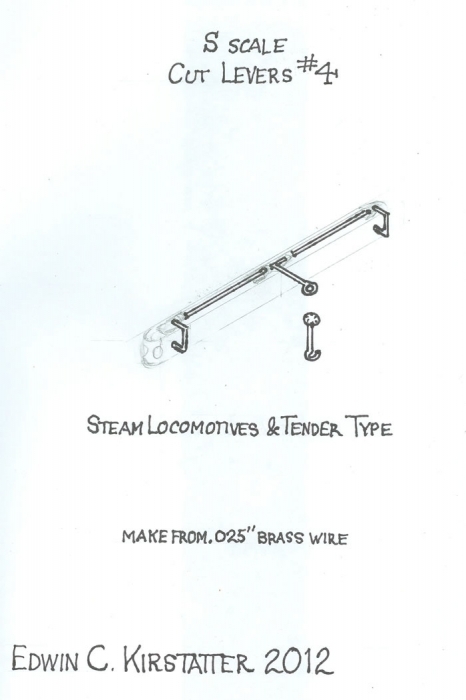 The steam loco type, used on both the engine and the tender buffer beam, is a long bar going from one side to the other supported by four cast stanchions, one at each end and two in the middle. 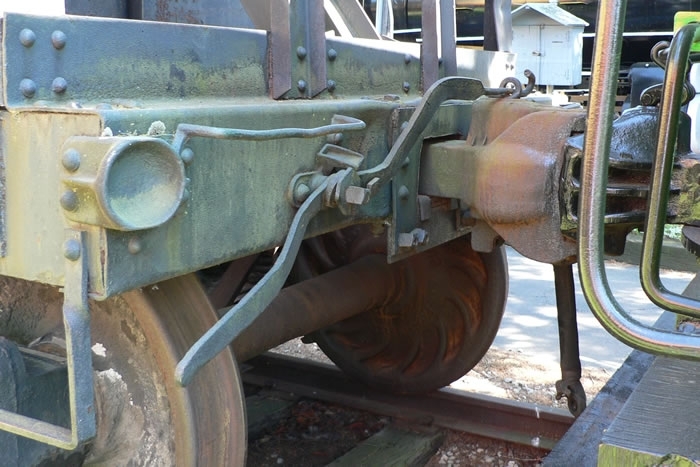 The cut bar could be lifted from either side but the brakeman had to lift the whole thing. These cut levers were heavy. Make them from .025″ wire. 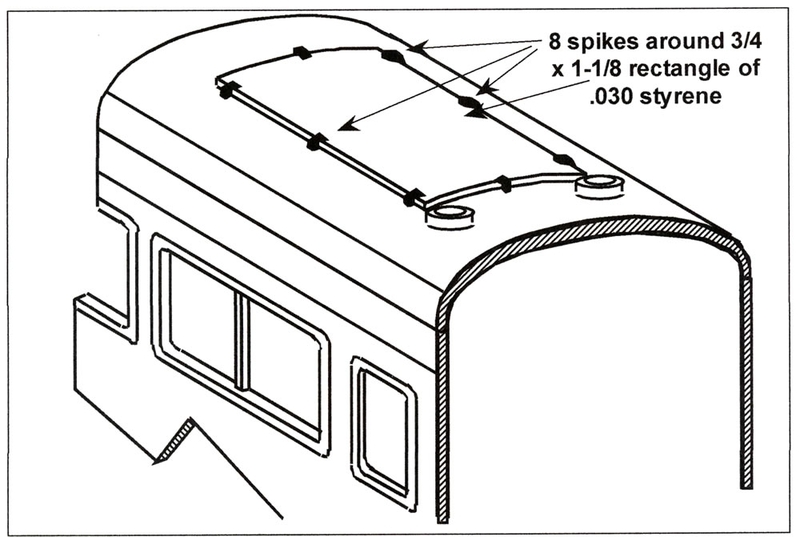 The Diesel locomotive type can also be lifted from either side; however, it differs in that the brakeman is only lifting half of the lever. 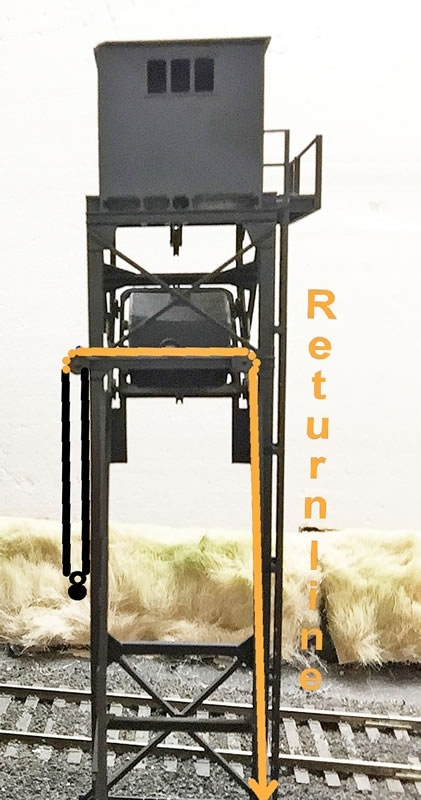 An independent loop in the center, on which the lifting links slide, is lifted by either side’s lifting lever. 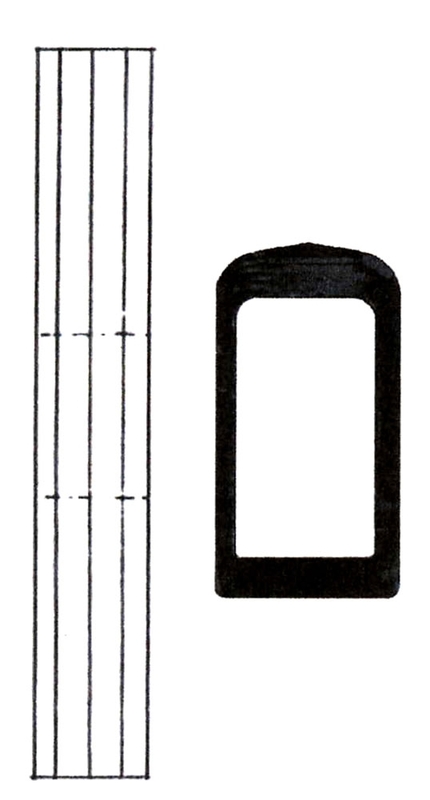 Four mounting rings are required to support these three separate pieces. I make them from .020″ brass wire.